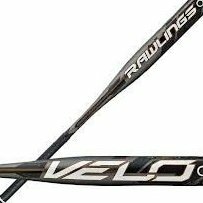 pOp Technology Precision-Optimized Performance (pOp) Technology isolates the added weight to a smaller region on the barrel than any competitors bats, translating into increased bat speed. Bi/Fusion Technology Proprietary Bi/fusion process joins the Comp-Lite end cap to the 5150 alloy frame. -13 Youth Bat. 214" barrel. Available in 28"/15 oz., 29"/16 oz., 30"/17 oz., 31"/18 oz., 32"/19oz.